184-133441161 John Ericsson National Memorial Wide from Left. John Ericsson National Memorial Wide from Left. The John Ericsson National Memorial, on the bank of the Potomac River near the Lincoln Memorial, is a monument to Civil War naval engineer John Ericsson, the designer of the breakthrough iron-clad naval vessel USS Monitor. 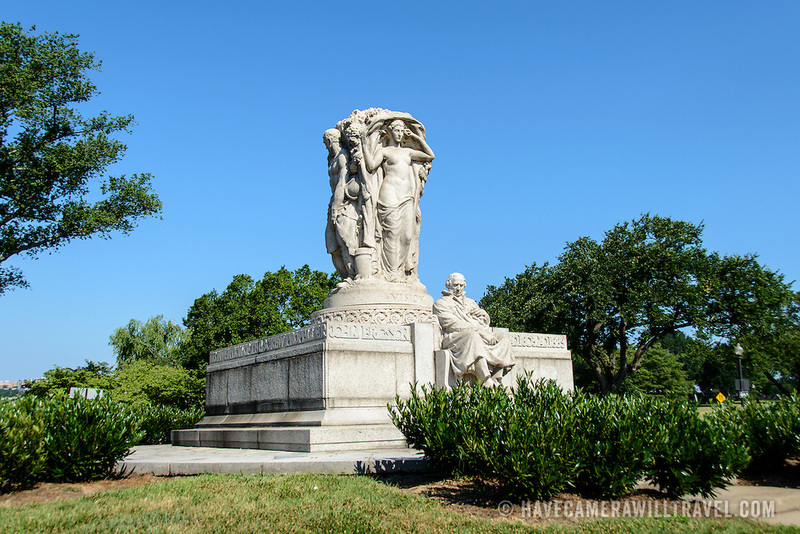 The memorial was designed by architect Albert Randolph Ross and sculpted by James Earle Fraser from the same pink granite used in the Lincoln Memorial. Because Ericsson was Swedish-born, the memorial consists of a combination of symbolic elements from his birthplace and his adopted homeland.